Google is currently said to be working on a tablet that will be able create virtual, three-dimensional images of a user’s surroundings. According to the Wall Street Journal, an unidentified source said that the tablet will feature two rear-facing cameras, infrared depth sensors, and high-tech imaging software. While the news has not yet been confirmed by Google, the information comes as no surprise. 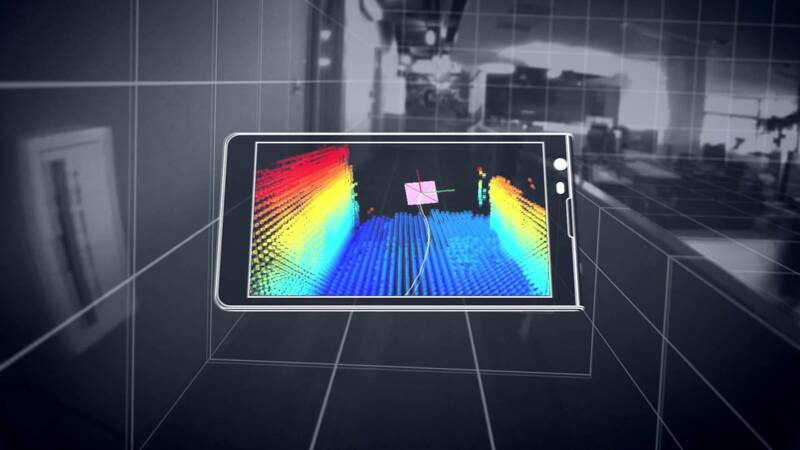 In February, Google gave the world a glimpse of Project Tango, an ambitious project with the goal of giving smartphones advanced imaging software. This will be done through advanced sensors and cameras that make over 250 million 3-D measurements each second to make a virtual 3-D model of a user’s surroundings. The software would allow phones to take 3-D pictures, turning a user’s house into a virtual 3-D world or objects into 3-D images. The possibilities seem endless, with people hinting at new gaming opportunities and having new ways to see the world. Although it seems like more of a distraction than something that could actually be useful, Google has said that it could be of great help to the visually impaired. By using this technology, the visually impaired could get auditory cues on where they are going to be able to more easily navigate unfamiliar areas. Google has plans on manufacturing the new tablet sometime in June, and will produce 4,000 prototypes. No information has been released on when the tablets will be available for public consumption, although it will hopefully be sooner rather than later. What do you think about this new technology? Will be it prove to be a distraction to people, or will it help people? Would you buy this tablet? Let us know!